Every fighting game franchise has an identity that makes it distinguishable from its competitors. A huge component of that identity is the game’s soundtrack. Fighting game themes come in all styles and flavors. Street Fighter has the benefit of being able to reinvent its iconic themes over a long period of time. 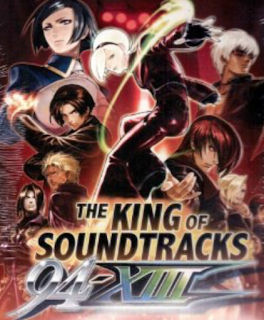 The Soul series soundtracks have always been epic and orchestral, while Skullgirls and the Marvel vs. Capcom series often use more modern, grooving tracks. Below is my official, definitive list for the Top 50 All Time Fighting Game Themes. Like all lists, I’m certain there will be disagreements. My hope is that, regardless of ranking, I have chosen tracks that are dear to all lovers of the fighting game genre. For numbers 25-1, I provide descriptions and brief analysis. As a heads up, here are the following game franchises that will not appear on this list: Mortal Kombat, BlazBlue, Guilty Gear, Skullgirls, Power Stone, Rival Schools/Project Justice, Plasma Sword. 25. In Spite Of One's Age (KOF 98) - This theme belongs to The Masters' Team, a squad comprised of the patriarchs of the major fighting styles in the game’s franchise. The song feels effortless, like the performance of a master. 24. I Wanna Take You For A Ride (MVC 2) - What kind of fighting game music aficionado would I be if this track wasn’t on the list? Say what you want about the lyrics (which basically amounts to saying seven words over and over again) but that cool sax and bass create a festive, party feel that can make any former player glow with nostalgia. 23. No More Swingin' (SFA3) - The third installment of the Street Fighter Alpha series was unique in that it completely changed the soundtrack from the iconic SF II editions into new, techno-rock tunes. Appropriately created for Guy, this song feels like a track for a classic beat-em up game like Final Fight. 22. Gen Theme (SFA2 Gold) - Weird, grim, almost ethereal organ. Oddly enough, the tune is befitting of a master assassin of his caliber. 21. Dan Theme (MSH vs SF) - I think it’s difficult to come up with a memorable theme song that fits a joke persona designed to be the worst character in his respective game. I’m not a big fan of Dan’s SFA themes, but this one perfectly captures his bravado and false sense of confidence. 20. Dee Jay Theme (SSF II) - Dee Jay’s theme is the epitome of fun and syncopation. It gets in your shoulders and your feet. When the opening hook drops, it's hard not to smile as big and as wide as the character this song was made for. His original version and his HD remix are my favorite renditions. 19. The Deep (Omega Red Theme) - Both The COTA and the MSH vs. SF versions are great. I’m a sucker for a really good bass track. It grooves with a vengeance. It feels unstoppable. 18. Cammy Theme (SF 4) - There are several version of Cammy’s theme that I could have picked here. And even though I’m not happy with the techno direction of SF 4's overall Soundtrack, I think Cammy’s entry is a perfect balance of tough, unstoppable girl power. 17. Clock Tower (MVC 2) - Any MVC 2 player will immediately recognize this pleasant, grooving track as the theme of the first stage you play in the Arcade Mode. Jazz music has a special kind of structure and finesse that’s very hard to pull of in fighting games. MVC 2 set the standard on how to do it, and Clock Tower is one of the best examples. 16. Brave Sword, Braver Soul (SC II) - If this were a list of best fighting game albums, Soul Calibur II would be number one and there wouldn’t even be a close second. The entire album’s goal is to tell you an epic tale of souls and swords. This track epitomizes that, with its complex orchestral riffs and japanese three-string guitars. 15. Mustard for Geese/Geese Ni Shouyuu - Geese is one of my favorite characters in all of fighting games. There are a lot of renditions of his theme. “Mustard” is a great track because it’s a blend of both European and Japanese influences, which is exactly what Geese is. “Ni Shouyuu” is a rock remix that almost make him feel like a good guy, with just a touch of menace. 14. Street Wise Asura Remix (Tekken 5) - This is probably the funnest track in all of Tekken. Listen to it all the way through. It drives like a roller coaster at a dangerous amusement park in Japan. And that bass guitar, as my students would say, is simply the truth. It’s also a great workout song. 13. Vega (SFV) - Not only is Vega’s theme the first elegant theme in the genre’s history, it’s also the most enduring. This version is fresh, traditional, and dangerously festive while maintaining its Spanish regality. 12. Ken Theme (SF II HD) - I have no problem admitting that this isn’t one of my personal favorites. However, no one can deny its longevity and iconic sound. In a way, it’s almost a little brother to Ryu’s. I’m sure people will want this highest (if so, go make your own list). 11. Akashi no Saxophone 2 (KOF 97/98) - Every instrument is perfect. Guitars. Organ. Drums. Bass. It’s the perfect blend. It either feels like Iori Yagami is taking us to church or it feels like the opening to an 80’s anime. 10. M. Bison Theme (SF 2) - An iconic boss track. Thousands of controllers were thrown at television screens across the world in the 80s and 90s when it was time to deal with the insanely cheap boss known as M. Bison. The original is great. I personally think the tribute version is better. 9. Training Room (MVC 2) - After “I Wanna Take You For A Ride”, this song is one of the most memorable themes of the game. The bass, the syncopation, and the horns made it fun to spend countless hours honing your moves and practicing your combos. 8. Raise Thy Sword (SC II) - If there was ever a time to use a fighting game/battlefield metaphor, this would be the best track to do it with. Of all the instruments, I love the drums (in particular, the snare and timpani). 7. Karin Theme (SFV) - Considering that Street Fighter V is a newer game, I’m almost shocked at how hard I fell for this song, especially since I didn’t care for Karin’s previous themes at all. What can I say? It’s my kind of song. It grooves with horns and bass and drums. There’s also a unique blend of elegance and fun that is very hard to pull off in fighting games. 6. Mad Fantasy (KOF 98) - Quite possibly best sub-boss theme of all time. Its brilliant mixture of childlike xylophone pops and orchestra maturity create a very menacing and dark tune. 5. Forest Law Theme (Tekken 3) - One of my all time favorites. Slick. Epic. Very inspirational. As an obvious nod to Bruce Lee, there’s no shame in making funny faces and doing a few Jeet Kune Do hops while listening. 4. Groan (Shin Akuma Theme SFA 3) - The ultimate boss theme. Powerful. Intimidating. Demoralizing. Get ready to have your face handed to you by the cheapest, dirtiest, most infuriating boss you’ll ever come across. 3. Character Select (SF II) - Before you can fight any matches, you must select your character. Every good fighting game has a memorable character select theme, and you won’t find one more iconic that smooth tune from Street Fighter II. 2. Peach’s Castle (Super Smash Bros. Melee) - Mario’s theme is arguably the most recognizable theme is video games. Translating it into a fighting game theme I think is an underappreciated feat. 1. Ryu’s Theme - There’s not a lot I need to say to defend my case here. Pick just about any version you want. All of them provide the same experience. Epic. Motivational. The standard for what a fighting game song should do. 2007-2017 (C) Aaron David Harris. All Rights Reserved. Simple theme. Powered by Blogger.